RISING DAMP PROBLEMS? - We can help. We can install across the UK - Please contact us for a free no obligation quote and survey. “Musty” odour around the home. SecoMUR is engineered with nano microFORMULA technology, which achieves a deep penetration and “Cross-Link” effect in the interior of the wall. It is the ultimate damp proof course against rising damp. 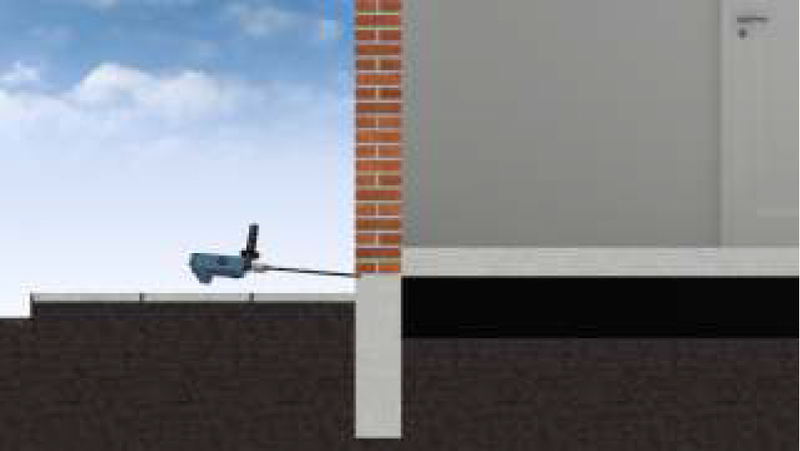 After drilling a series of holes as close as possible to ground level, SecoMUR is injected, creating a horizontal barrier against rising damp. 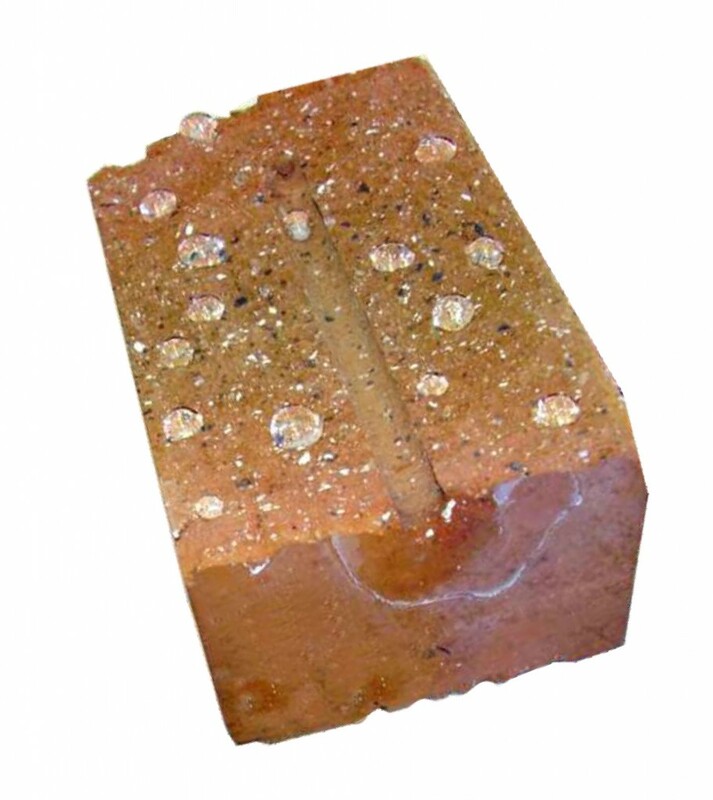 The cross section of brick (pictured has been drilled and injected with SecoMUR. 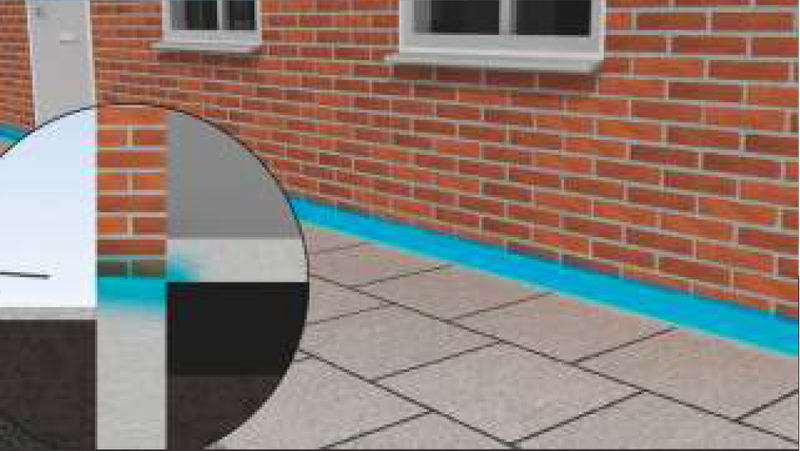 You can see that the whole brick is now waterproofed to stop rising damp, This “cross-linking” creates a horizontal barrier effective against rising damp and will stop moisture migrating up your walls that will last for many years. 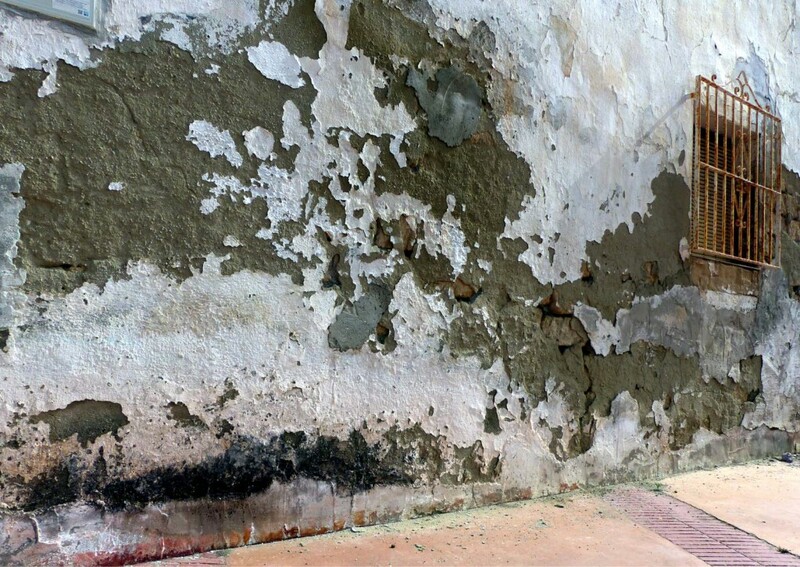 Remember: Untreated rising damp can cause respiratory illnesses for the the tenant or homeowner. Failure to treat rising damp properly can result in a house that is unpleasant to live in or difficult to sell.